Izštevanko s tem pomenljivim naslovom smo se igrali kot otroci. Venčne listke marjetic smo deklice običajno trgale, dokler nismo bile zadovoljne z rezultatom. 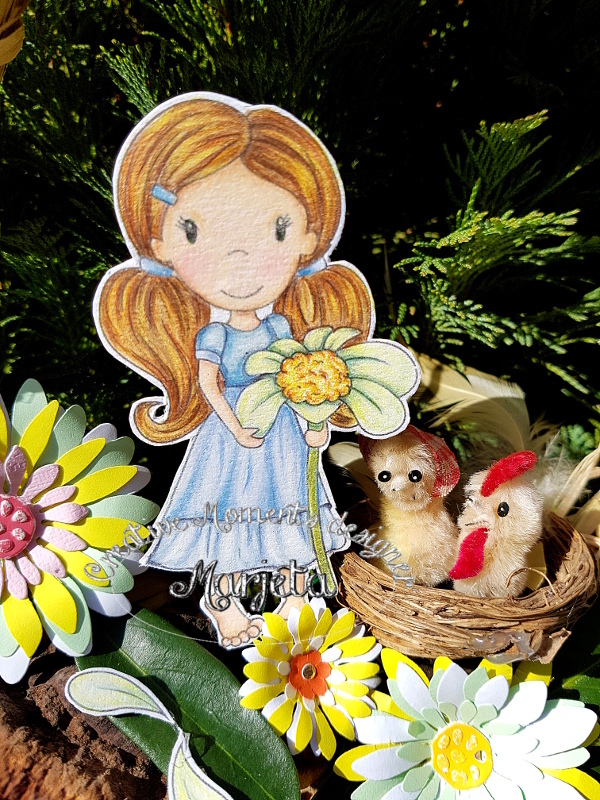 Tokrat sem ljubko punčko iz zbirke Paper Nest Doll (Daisy Emma) uporabila na dekorativnem venčku. Paper Nest Doll je eden od tokratnih sponzorjev pri Creative Moments. - več drobnih okraskov iz domače zaloge. Venček je narejen iz suhe okrasne trave, ki sem jo ob spomladanskem urejanju okolice porezala. Amazing! Thank you so much for sharing this with us at Creative Inspirations. Good luck! Oh Wow this project looks absolutely amazing. Great design and great colours. Your image is coloured so nicely too. What a great idea and project you have created here. Nice work. Thank you for sharing with us over here at "A Perfect Time To Craft" and best of luck with your entry. This is fabulous!!! Beautiful and so unique!! Gorgeous image and color and those flowers are all so beautiful! Thanks for playing with LTSCB. Čudovit venček s tvojim pridihom. WOW this is awesome! Thanks so much for playing in our Fussy and Fancy Challenge! Please come back again soon! 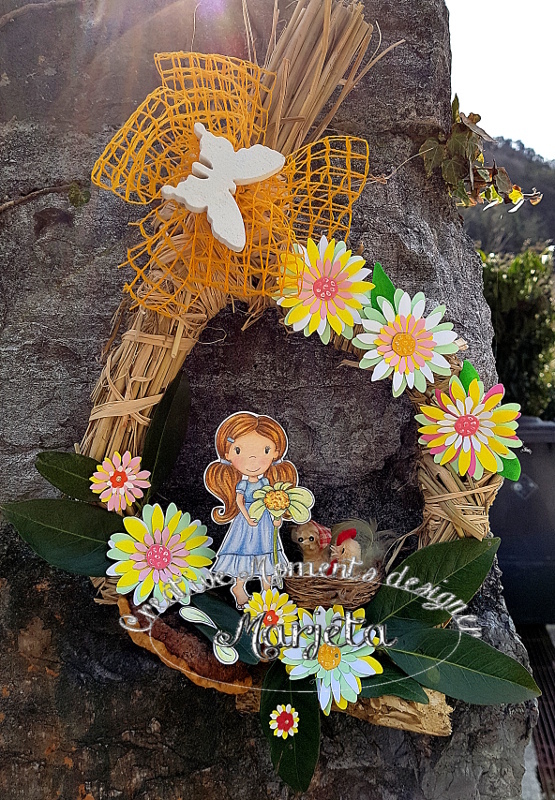 Your wreath is just amazing! I love this cute image you used. Such a cute project. <3 Love the colors. Gorgeous wreath, love the design. Thanks so much for joining us over at The Crafty Addicts! Je res že minilo 40 ?